With the upcoming re-release of Eisenbach Gap from Lock 'n Load Publishing, I thought I would provide an extended example of play to help new players quickly dive into the system. It's not very complex but since this was my first wargame ever, it was a bit of work for me to initially wrap my mind around the rules, terms, and concepts. So here goes - a detailed narrative of a single turn of play using "First Moves" as a learning scenario for World at War. I'm playing this on Vassal, which is not my favorite way of playing this particular game but it should work fine anyways. In "First Moves", the Soviets have two victory objectives. They must capture the towns of Bergengipfel and Eisenbach. The Americans win if they can stop them. 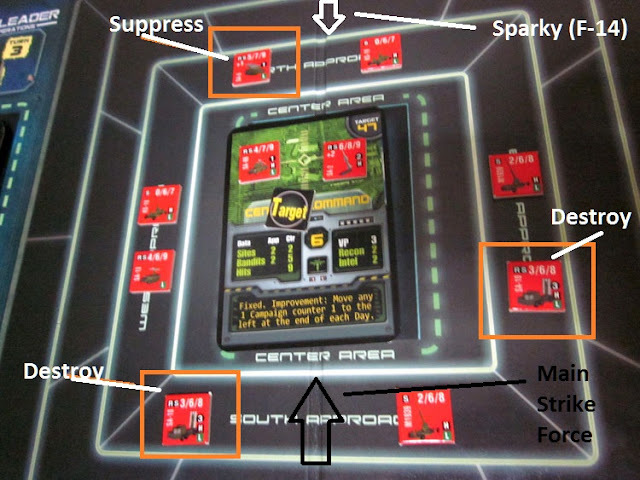 Note that the term "capture" denotes that a side was the last to move units through the hex. You don't need to keep your units in the hex all the time for it to be considered captured. J.D. Webster's Air Power series continued to grow after 1987's "Air Superiority" with several new expansions ("Air Strike", "Desert Falcons", etc. ), culminating in the 1992 offering "The Speed of Heat". "The Speed of Heat" focused on early post-WW2 air combat such as Korea and Vietnam. There are a number of improvements that "The Speed of Heat" makes to the Air Power rules as presented in the original "Air Superiority". First off, the rules are a bit more streamlined (although the number of typos and mistakes in the rulebook are numerous) and better organized than the original Air Superiority game. A badly-needed index is included in the back of the rulebook. There seem to be more examples of play and diagrams as well as more explanation of key rules. It doesn't exactly hold your hand but the rulebook has a much friendlier feel for those just starting into the Air Power series. In this scenario from J.D. Webster's "Air Superiority", published by GDW in 1987, a West German F-4F Phantom II pursues a fleeing East German MIG-21MF Fishbed after it strays into West German airspace. Armed only with cannons, the F-4F is determined to shoot down the MIG-21 before it flees back over the border and the communists can claim they were attacked over East German airspace instead. 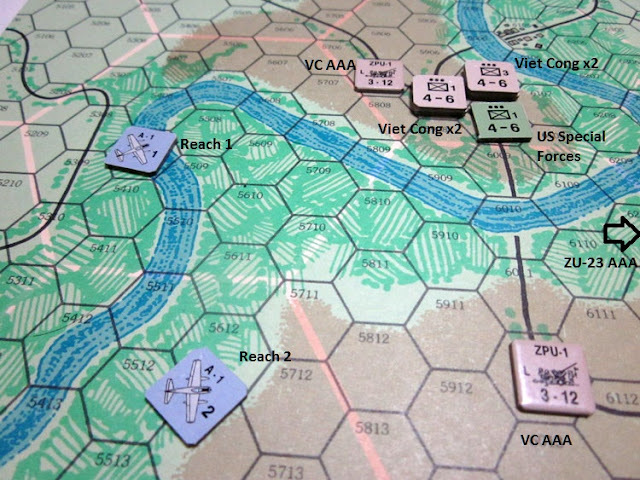 This is a solitaire scenario with the MIG movement determined through rolling on an "Evasive Movement Table". The player controls the West German F-4F. Although this is not a complex scenario, it's excellent for learning the basics of the Air Power system and a bit more exciting than the training scenarios in the book. Even though this is a basic scenario, I'm not 100 per cent sure that I didn't make a mistake (especially with a late game lag-roll) but I think I did a fairly good job of it. It's the last day of a long campaign over Iraq in 1991 in my current game of Hornet Leader: Carrier Air Operations. So far, I'm at 24 VPs, which is enough to score a "good" rating. If I want to try for a "great" rating, I'm going to need a nice big target on this last day. I draw "Government Building" and it looks like a nice target in Baghdad for us to finish off the war. It's worth 4 VPs and it also has an "Overkill" trait, which means that causing 14 or more points of destruction will garner us 1 more VP. Add to all this the fact that I have an "Important Target" card (wonder who?) and I get another VP for completing this mission successfully. We're about halfway through the Iraq 1991 campaign for Hornet Leader and so far, the squadron is doing okay despite some setbacks. 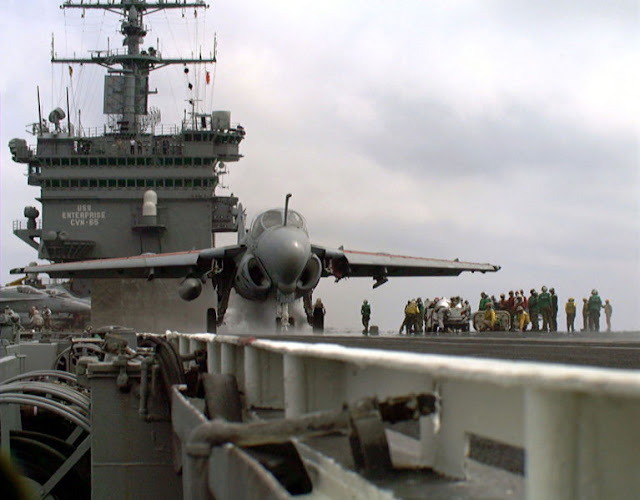 The first few days of the campaign featured some low-risk targets while day 3 was a scramble for a close air support mission that paid off nicely. Unfortunately, the secondary target, a series of AAA sites, was not successfully destroyed and the result was just a bunch of stressed out pilots. The target list comes through in the morning and, oh it's terrible.